Family was vitally important to Theodore Roosevelt, both personally and for his political philosophy. He was proud of his family’s genealogy and had been nurtured in the harmonious household of his parents. The importance of family was driven home to him by devastating losses: first the death of his father at an early age, then the staggering simultaneous passing in 1884 of both his wife, Alice, and his mother. Mourning, he withdrew to his ranch in the Dakotas. In 1886 he returned to New York City and to politics and also married Edith K. Carow, who raised his daughter, Alice Roosevelt Longsworth. They had five children of their own between 1887 and 1897. 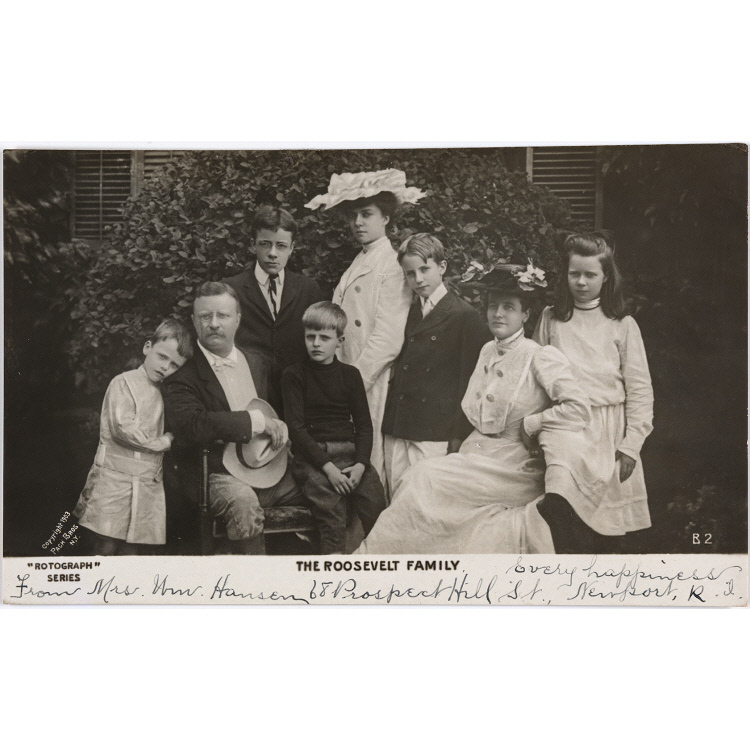 A large family was emotionally necessary for Roosevelt, and it also undergirded his political view that western civilization depended on a strong birth rate. We use GovDelivery, a third party e-newsletter service.